Distributed by First National Pictures Inc.
"Cops" is a short comedy, starring Buster Keaton and featuring Joe Roberts, a star of Silent Hall of Fame. The film is full of hilarious moments and demonstrates Buster Keaton's extraordinary athletic abilities. "Cops" was added to the National Film Registry in 1997 as being deemed "culturally, historically, or aesthetically significant". The film is ranked number 66 in the list of The Top 100 Silent Era Films of the influential website Silent Era. It enjoys a very strong rating in IMDB. 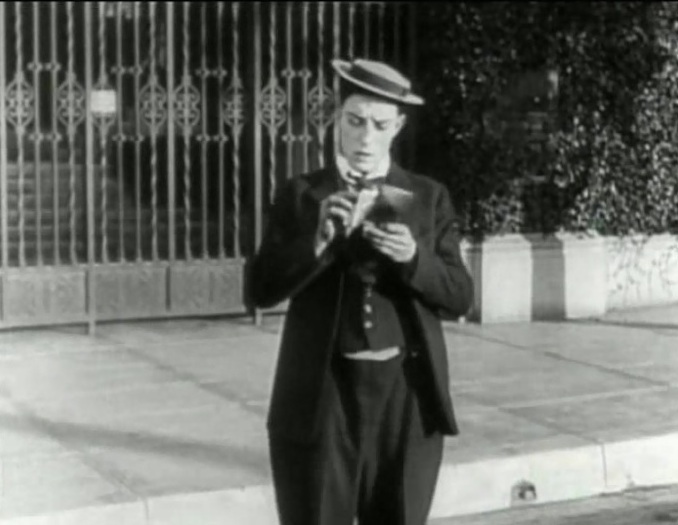 Virginia Fox rejects Buster Keaton until he becomes a big businessman in "Cops" (1922). 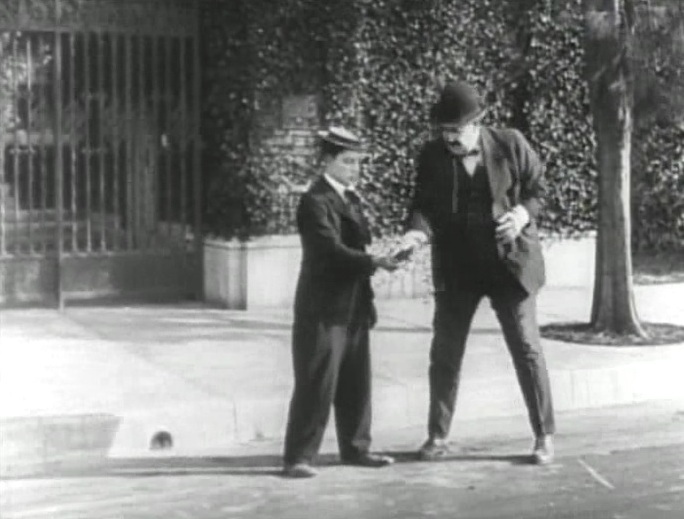 Buster Keaton returns Joe Roberts' wallet in "Cops" (1922). 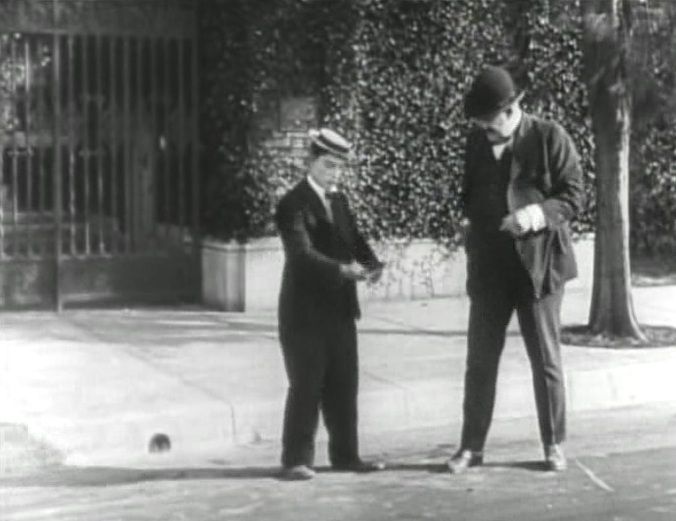 Buster Keaton gets no gratitude from Joe Roberts for returning his wallet in "Cops" (1922). 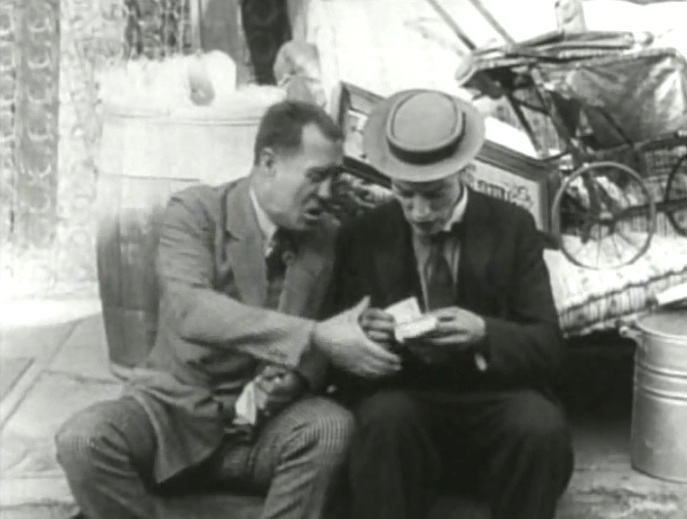 Buster Keaton gets Joe Roberts' wallet in "Cops" (1922). 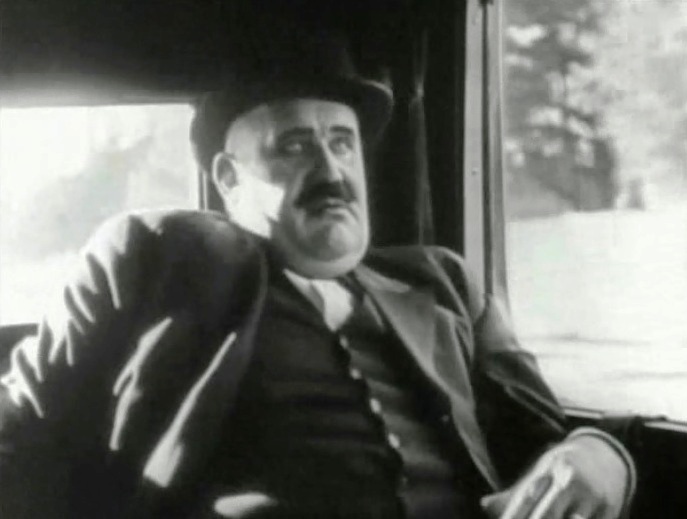 Joe Roberts misses his wallet in "Cops" (1922). 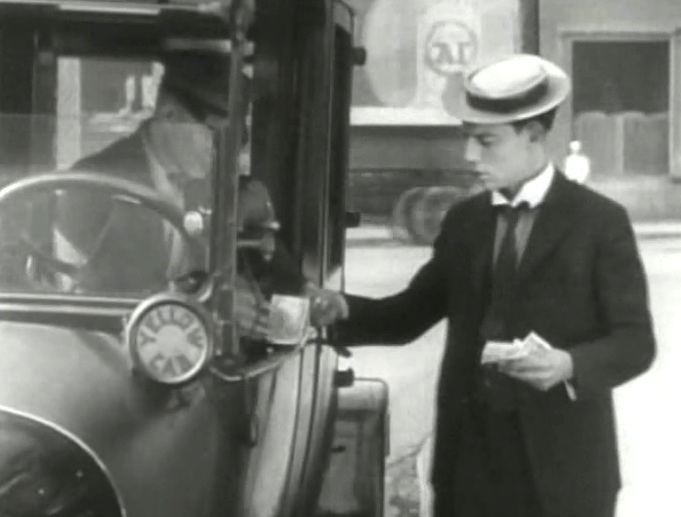 Buster Keaton pays for a cab ride with a big bill in "Cops" (1922). Buster Keaton listens to a con man's phony story in "Cops" (1922). 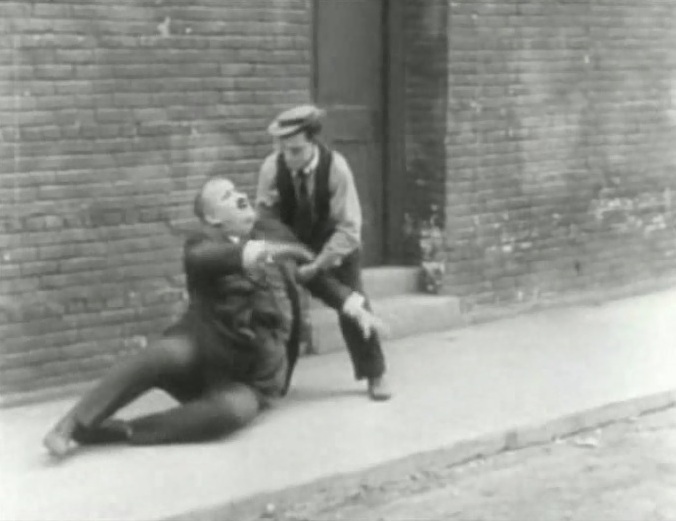 Buster Keaton loses the money to a con man in "Cops" (1922). 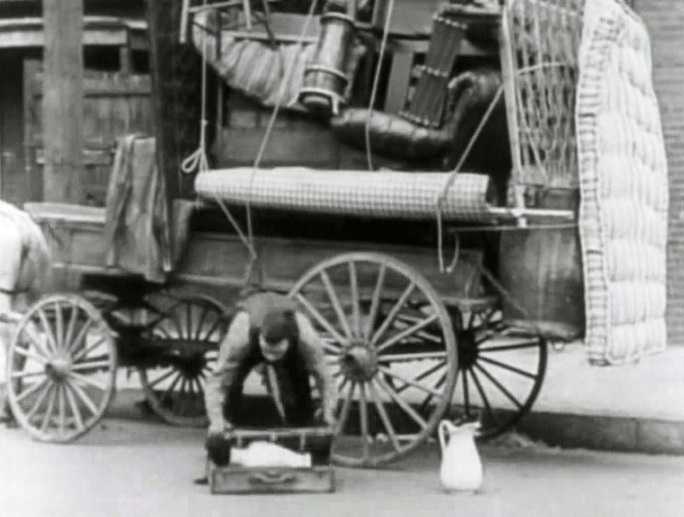 Buster Keaton can't fit a porcelain vase into a suitcase in "Cops" (1922). 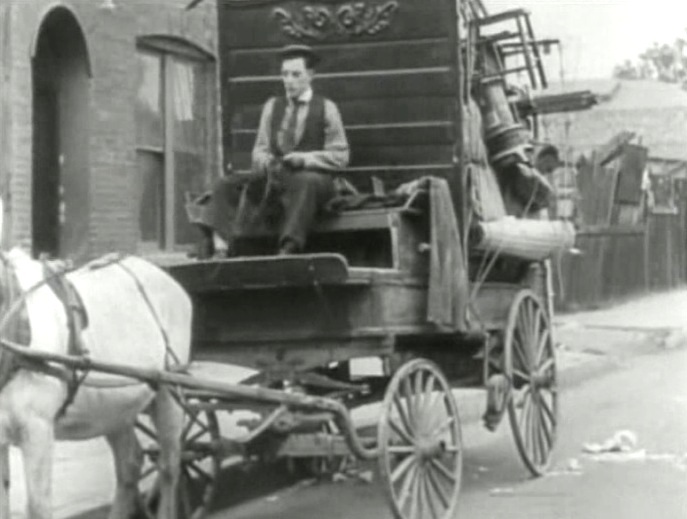 Buster Keaton rides with the household items he thinks he bought in "Cops" (1922). 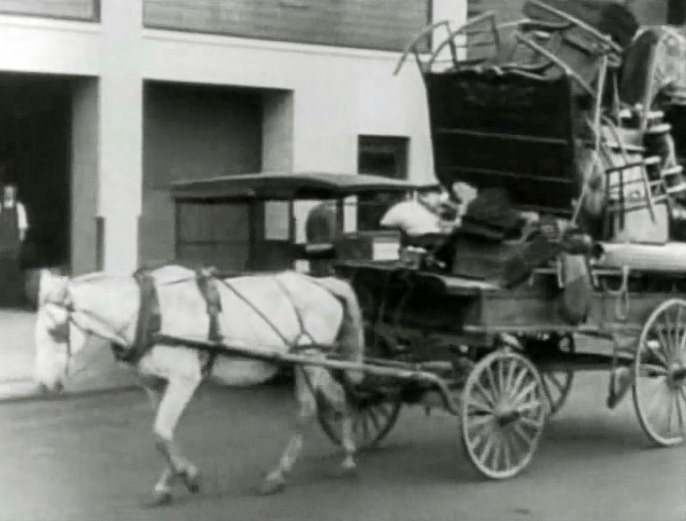 Buster Keaton makes a turn signal device in "Cops" (1922). 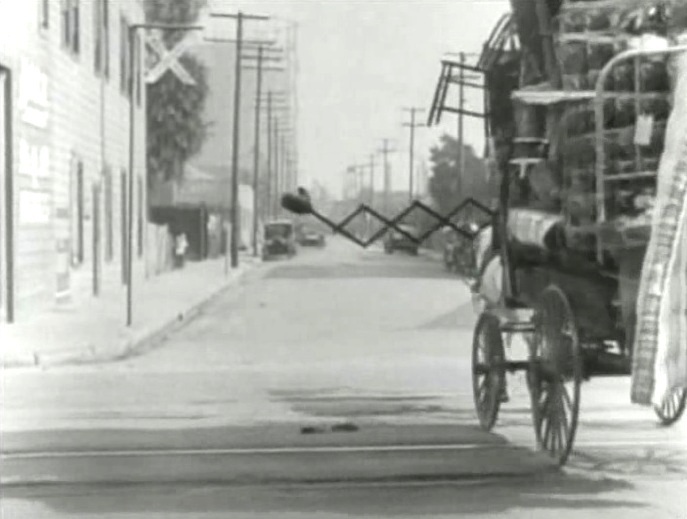 Buster Keaton's turn signal device knocks down a traffic cop in "Cops" (1922). 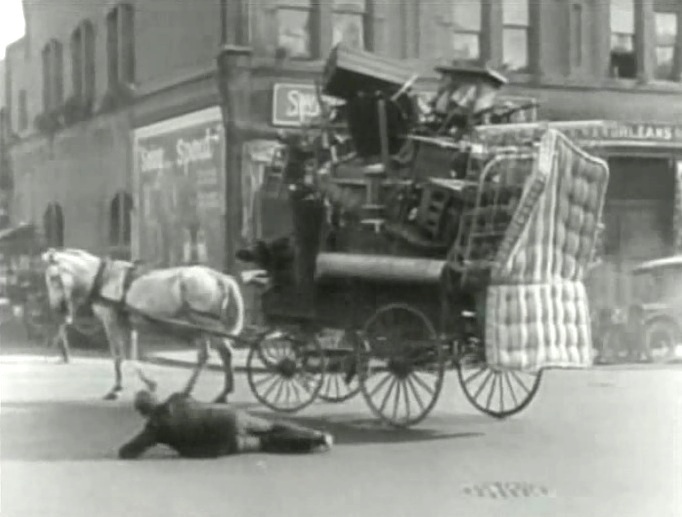 Buster Keaton trusts his horse and takes a nap in "Cops" (1922). 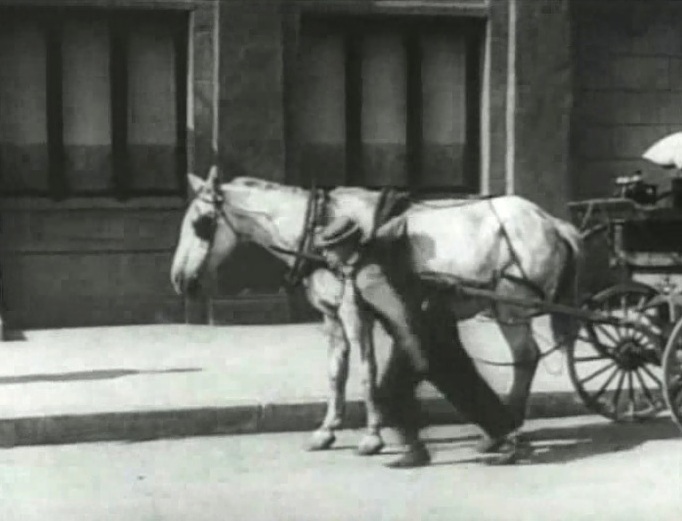 Buster Keaton helps his horse in "Cops" (1922). 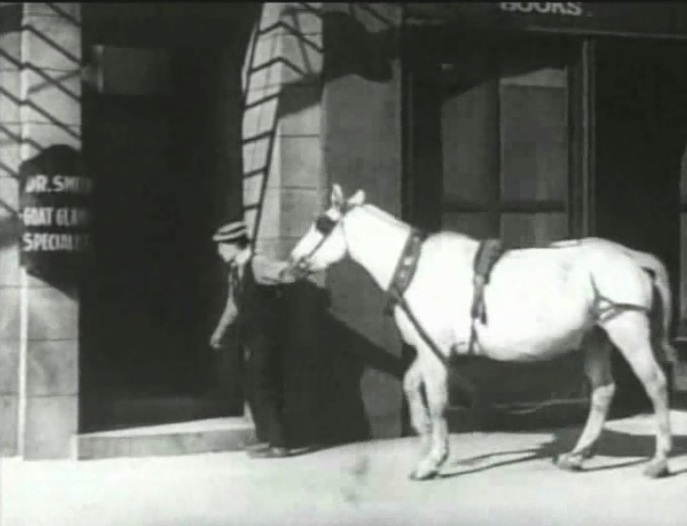 Buster Keaton takes his horse to a goat gland specialist in "Cops" (1922). 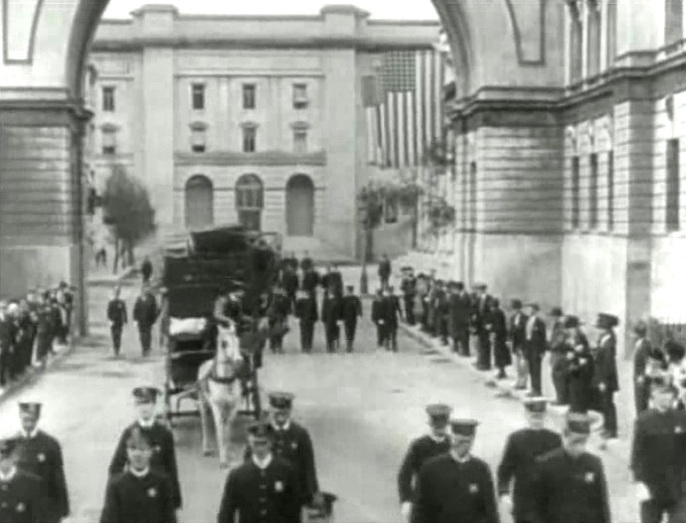 Buster Keaton joins the annual police parade in "Cops" (1922). 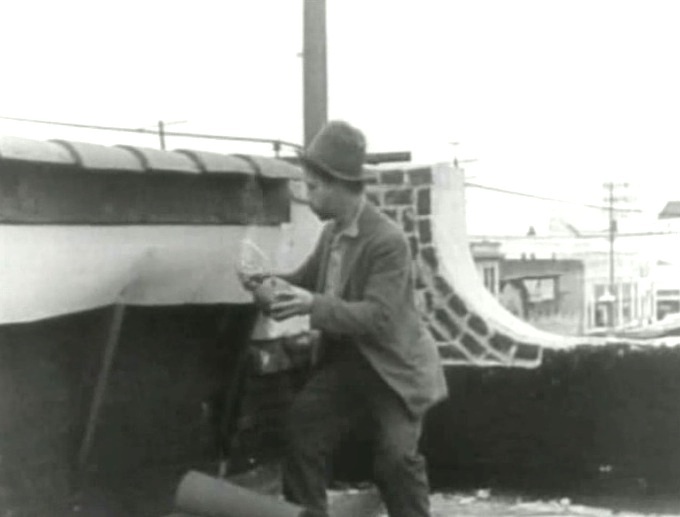 An anarchist prepares a bomb in "Cops" (1922). 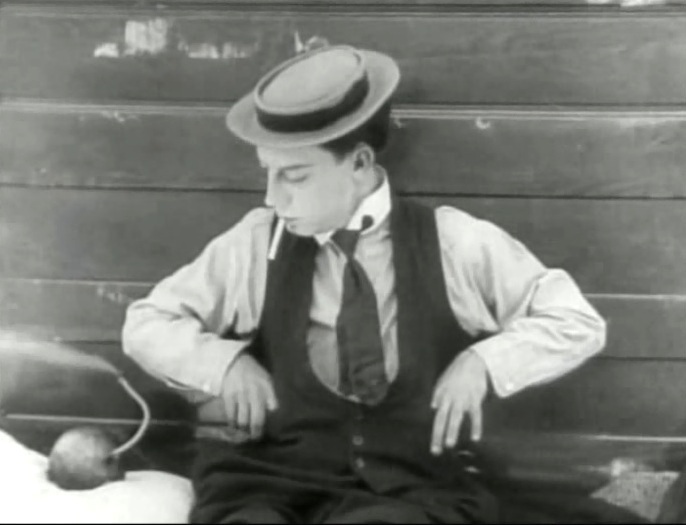 Buster Keaton needs a match and sees the bomb in "Cops" (1922). 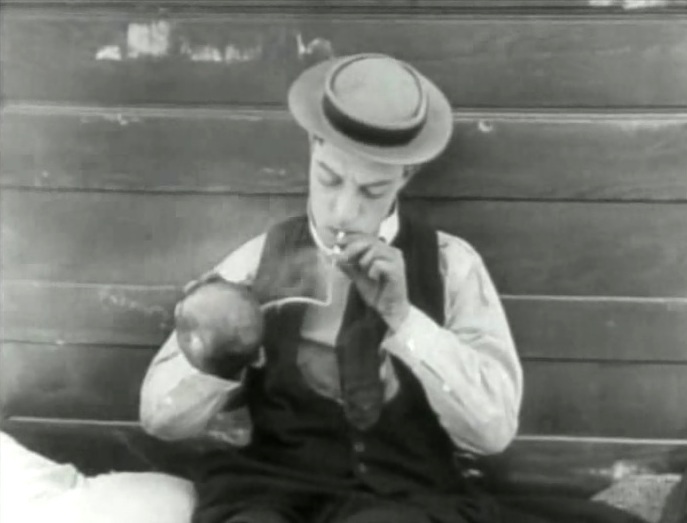 Buster Keaton lights his cigarette holding the bomb in "Cops" (1922). Buster Keaton unintentionally throws the police ranks in disarray in "Cops" (1922). 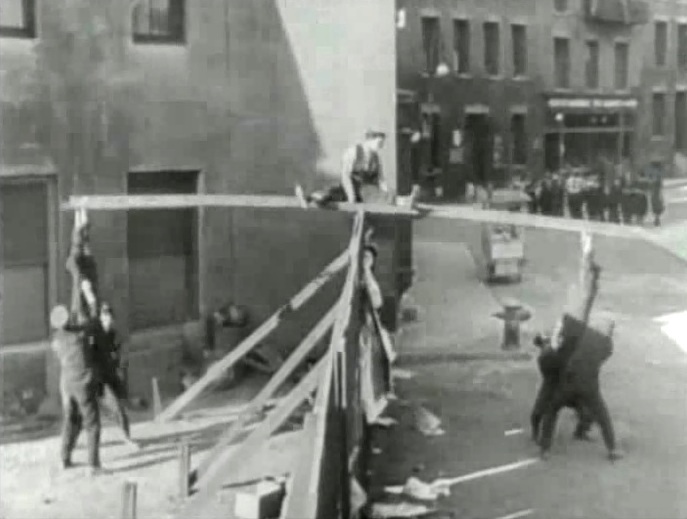 Buster Keaton hides in the middle chased by cops from left and right in "Cops" (1922). 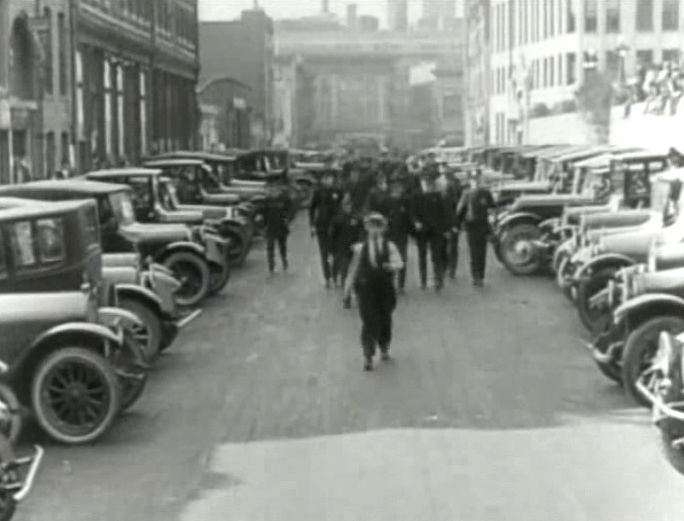 Buster Keaton is chased by a crowd of cops in "Cops" (1922). 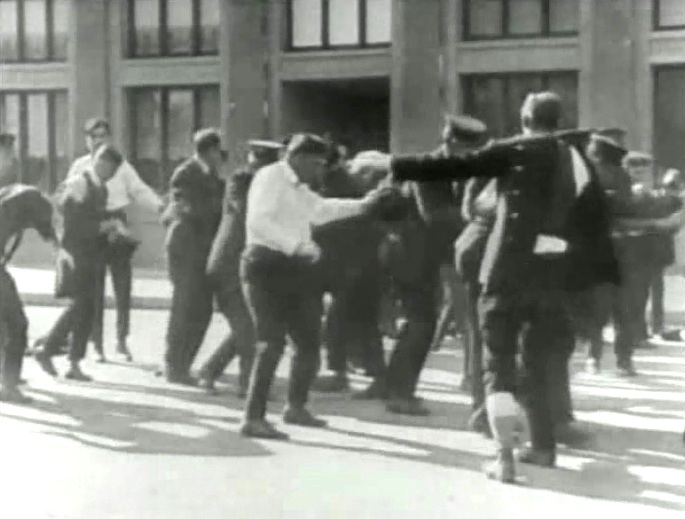 Buster Keaton rests as two groups of policemen neutralize each other's efforts in "Cops" (1922). 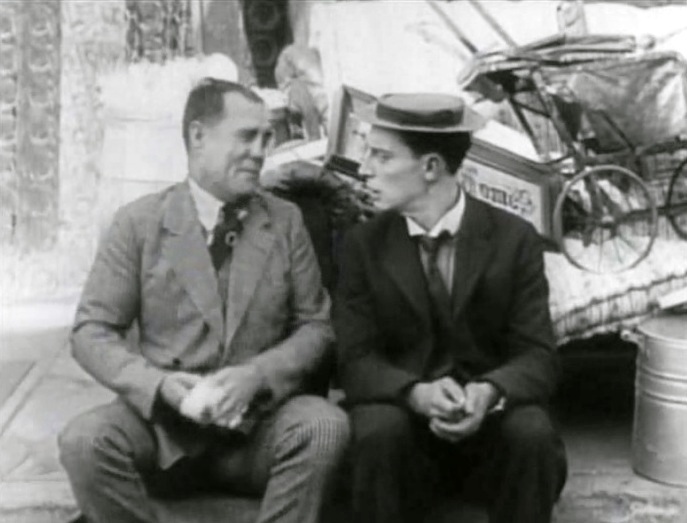 Buster Keaton bumps into Joe Roberts again in "Cops" (1922). 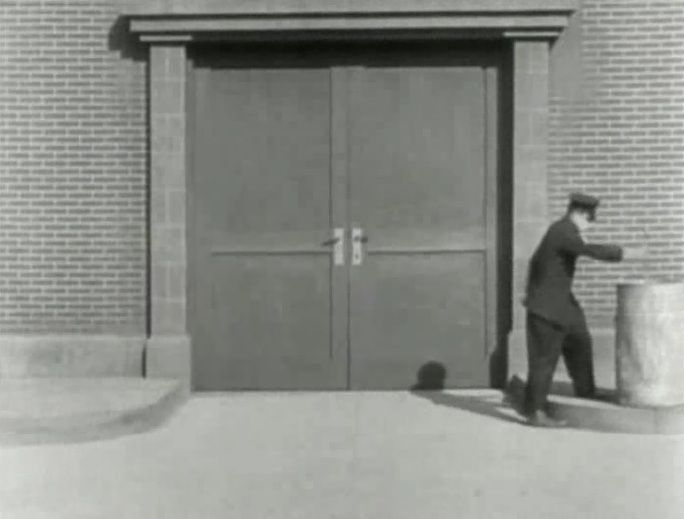 Buster Keaton locks the cops and throws away the key in "Cops" (1922). Buster Keaton is rejected by Virginia Fox again in "Cops" (1922).